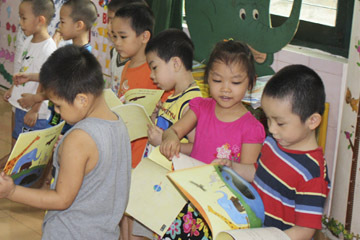 Activity to connect the world with ‘the power of words’. To send a message of gratitude for the support from all over the world after the huge earthquake in 2011. 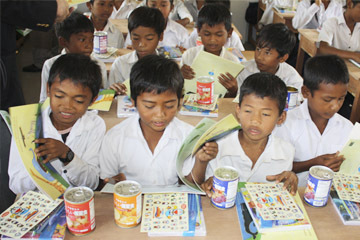 And also, to convey the importance of ‘how to live by linking heart to heart’ by means of producing the picture books and donating them to children of the world. 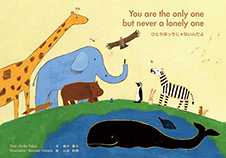 We produced the picture book “You are the only one, but never a lonely one”, and have donated to children in the world. This project has been supported by the Ministry of Foreign Affairs in 2017. 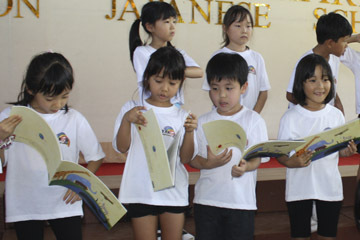 “HEARTHEART~Activities to deliver the picture books to the children of the world” was authorized as “40th Year of ASEAN-Japan Friendship and Cooperation Event” and “Japan Vietnam Friendship Year Event” in 2013, as the commemorative event of “the 30th Anniversary of Friendship between Japan and Brunei” in 2014.